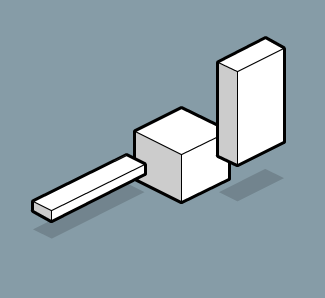 as3isolib is a great isometric library for actionscript 3 by Justin Opitz. This is a lower level isometric library that could be used in building your own isometric gaming engine or learning more about the popular isometric view in games or other flash content. To constructing sprites and objects with individual iso objects with their own bounding boxes. 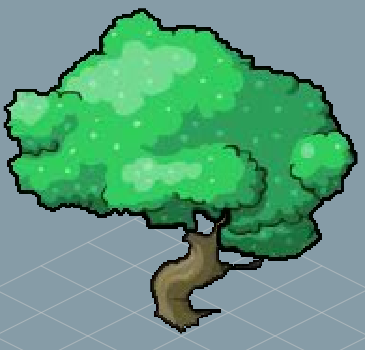 This sample shows a two piece tree, a common issue with sprites in isometric is where to slice them up. This sample shows a tree with the leaves able to be in front of a character so that you could walk under the tree and be in front of the trunk but covered by the trees. Essentially height is respected. This entry was posted on Saturday, October 11th, 2008 at 3:03 pm	and is filed under ACTIONSCRIPT, ACTIONSCRIPT3, ARCHITECT, AS3, DEVELOPMENT, ENGINE, FLASH, FLEX, GAMEDEV, GAMES, isometric, LIBRARIES, OPEN SOURCE, PROGRAMMING, RENDERING, TECHNOLOGY, TOOLS. You can follow any responses to this entry through the RSS 2.0 feed. Both comments and pings are currently closed. What about interactivity? Is it already available or planned soon? This basically allows the data portion of the iso primitive class to act as the actual interactive object (which is the Sprite on stage). It stands in place of the Sprite for all events. I should add that the lib is in the Alpha stage so I am constantly trying to morph the API into the best it can be. If anyone has suggestions or would like to help out on the project, please contact me jwopitz [at] gmail [dot] com. Iam a Facility management student, and i must learn a lot about computer programs which are used to build 3-D constructions. Can you tell me wheter i can used the Actionscript 3 Isometric Library only for computer game programming? The reason for my question: Iam searching for new, good programs which give me a chance to build qualitative well 3-D construktions, without a lot of problems! Does not work. An error 1045 – interface INode is not found!